Boeing Co on Wednesday took its most aggressive moves yet to defend its core 737 airliner franchise, saying it had developed software fixes to prevent failures of an automated flight control system that is being scrutinised after two deadly crashes in the past five months. Boeing, in the midst of one its worst crises in years, is under pressure from crash victims’ families, airlines, lawmakers in Washington and regulators around the world to prove that the automated flight control systems of its 737 MAX aircraft are safe, and that pilots have the training required to override the system in an emergency. 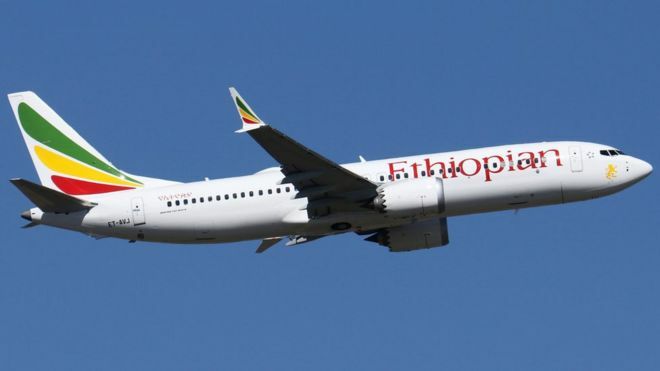 The 737 MAX planes were grounded worldwide following an Ethiopian Airlines disaster on March 10 that killed 157 people, five months after a Lion Air crash in Indonesia that killed 189 people. “We are going to do everything that we can do to ensure that accidents like these never happen again,” Mike Sinnett, vice president for product strategy and future airplane development, told reporters. The FAA said it had not reviewed or certified the software upgrade yet. The FAA has agreed to significantly improve its oversight of organizations performing certifications on its behalf by July, U.S. Transportation Department Inspector General Calvin Scovel told a Senate panel on Wednesday. Executives with U.S. airlines welcomed Boeing’s moves, but want U.S. regulators to sign off on the upgrade. Southwest Airlines Co, which on Wednesday became the first major airline to formally cut its financial outlook for the year after being forced to pull its MAX fleet of 34 jets out of service, supported Boeing’s decision. Members of the Allied Pilots Association, which represents pilots of American Airlines Group Inc, the largest U.S. carrier, were among the 200 airline customers and others who spent the day at Boeing getting details. “With the software enhancements, we now have several layers of protection,” American Airlines Captain Roddy Guthrie told reporters. He said he was confident, however, flying the 373 MAX in its current state. It could take two weeks after new training protocols are approved to train all American pilots, Guthrie said. The certification process should not be rushed, the association said in a statement earlier on Wednesday. The fix should be fully vetted and take into account any further information from an investigation into the Ethiopian Airlines crash, the association said. Boeing, the world’s largest planemaker, said the anti-stall system, which is believed to have repeatedly forced the nose lower in the accident in Indonesia last October, would only do so one time after sensing a problem, giving pilots more control. The system will also be disabled if two airflow sensors that measure the “angle of attack,” or angle of the wing to the airflow, a fundamental parameter of flight, offer widely different readings, Boeing said. Reuters reported those details earlier this week. The anti-stall system — known as MCAS, or Maneuvering Characteristics Augmentation System — has been pinpointed by investigators as a possible cause in the fatal crashes in both Indonesia and Ethiopia. Current 737 pilots will also have extra computer-based training following criticism that MCAS was not described in the aircraft manual. Current 737 MAX pilots have criticised Boeing for not disclosing more details about MCAS initially. Sinnett said the company has added details on MCAS to its flight crew operations manual. All pilots will need to complete this training before returning to the skies, he said.